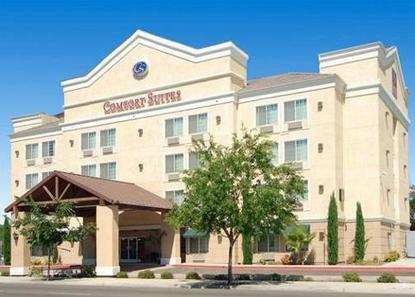 The Comfort Suites is walking distance from historic downtown Clovis, restaurants and nightlife. 100% Non-Smoking. Two miles from the incredible Save Mart Center and Fresno State, four miles from the Fresno Airport, eight miles from the Fresno Convention Center, 85 miles from Yosemite Park and 68 miles from Sequoia/Kings Canyon National Parks. Guests will enjoy free breakfast, outdoor heated pool and high-speed Internet access. All Comfort Suites are smoke free.